The 1980’s was a great time especially if you were a kid as there was just so much activity on the TV. It can be hard to decide between our favorite picks when there are hundreds of great shows to choose from. There are, however, shows that became common during the 80s. We’re talking about sitcoms like Family Ties, Dear John, and Diff’rent Strokes. Here are a few TV shows you must revisit for an instant dose of nostalgia. The 1980s saw a dearth of sitcoms about nuclear families, but NBC recognized there was a market for it and gave us Family Ties. The show quickly skyrocketed to success and fared well with the ratings. But only seven seasons later, Goldberg decided to take the show off the air in 1989. Throughout its seven seasons, Family Ties was known for reflecting the cultural shift from the liberalism of the 1970s to the conservatism of the 1980s; thus, the idea of a nuclear family. Every child around the world must have watched Sesame Street growing up. The classic kids’ TV show has made an impression on millions of kids born in the past half-century. Who doesn’t remember the death of Mr. Hooper? Or the Rubber Duck song that has been etched in our memories? Sesame Street has done more than just give us an endless stream of songs. Researchers reveal that it is responsible for giving kids the much needed educational boost. Another sitcom based around the adventures of a nuclear family. The show focuses on the misadventures of a widowed father, his children, and his two best friends. The family dynamics that play out make for some unique interactions. From the fun-loving stand-up comedian, Joey, to the Elvis obsessed Jesse; the show always had something to offer viewers and keep them engaged. It ran for a full eight seasons from 1982 to 1989. MASH pushed boundaries like many other shows of the time. The producers had the unique ability to become funny in one part of the episode and grim the next moment. Most of us still remember how fun it was to argue about all the plot holes and subtleties of the show with siblings and friends. No other show could capture the spirit of the 80s as well as Thirtysomething. It wasn’t your typical sitcom centered on the adventures of a quirky family. Instead, it explored the real-life struggles that many adults are forced into as they grow beyond their 30’s. Thirtysomething focused on how relationships play a pivotal role in our lives. It focused on the struggles of single adults and the interactions between couples. The success of Family Ties spawned a series of similar sitcoms and The Wonder Years was one such show. It is definitely worth revisiting the show because it takes us through the adventurous lives of Kevin Arnold, Winnie Cooper, and Paul Pfeiffer. The producers did a great job creating empathy between the audience and the actors. It made the audience feel a swirl of emotions— laughing every time Kevin got his brother in a headlock to crying when Kevin’s distant father struggled with parenthood. The Wonder Years got many things right. Knight Rider the crime drama pushed technological boundaries, with talking cars and super fast car chases, the story of Micheal Knight. And his talking car K.I.T.T., had millions of people of all ages glued to the screen to see what the car could do next, across the original four seasons the writers and producers never left us disappointed. Knight Rider has stood the test of time with a TV/movie spin of series. The A-Team dubbed the soldiers of fortune, and the title pretty much said everything we needed to know about the four ex-military men who were imprisoned for a crime they did not commit. The crime drama brought us a homemade wrecking machine made from normal garage items. Who didn’t laugh at Mr. T, saying ‘I Ain’t gettin’ in no plane fool’? And of course, he always ended up on a plane. V was a surprise hit that started out as a 2 part mini-series that spawned into a must-watch alien soap opera. The story was simple, aliens who came in peace were actually human eating lizard type aliens. 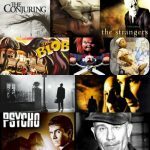 The 1984 series starred one of the greatest horror actors of all time Robert Englund who went on to become Freddy Kruger in the Nightmare on elm street franchise. 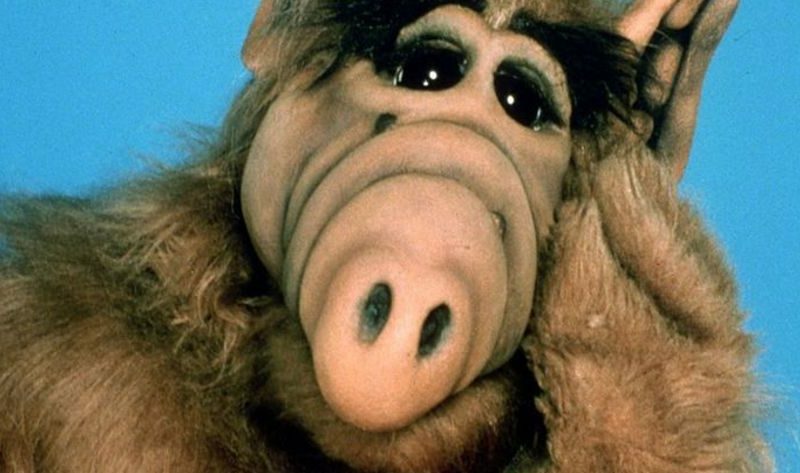 Who could forget ALF (Alien Life Form) or Gordon Shumway trying to eat the Tanner families cat while waiting for his alien friends to come to pick him up after he crash-landed in the Tanners garage? The show ended with one of the strangest endings ever. If you haven’t seen it, AlF was captured by the Alien Task Force and was going to be dissected alive, this was meant to be a cliffhanger but the next season was never made. ALF fans are currently in mixed emotions about a reboot that was announced in August 2018.